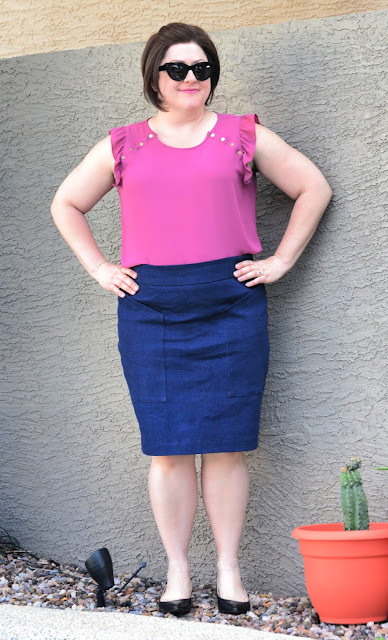 This skirt looks fabulous on you! I've seen the pattern three times and found it too big every time (only once did I sew it with a stretch fabric). Planning on revisiting it soon. Thank you! I've gained some weight over the last year and am learning to fit my new shape. I error on the side of caution but this one was definitely bigger than I expected. Luckily we know how to take things in!